Pizza Hut is giving away 10,000 pizzas this weekend, because college football. Here's the deal: You can score a free large one-topping pizza if you tune in to College GameDay on ESPN this Saturday, September 5th and spot the promo code on a Pizza Hut sign during the telecast, the chain announced in a press release on Wednesday. 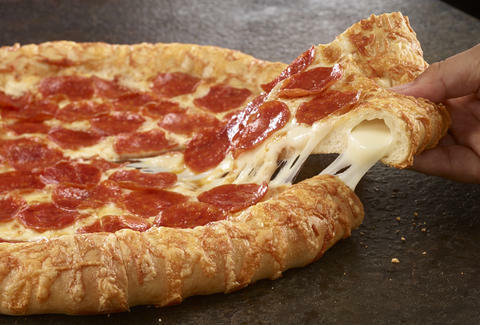 Once the code is revealed, the first 10,000 people to use it on pizzahut.com will be rewarded with the free cheesy glory. In other words, free pizza just for watching TV. Pizza Hut is also giving away a year's supply of pizza to one winner each week who shares their own GameDay sign on Twitter using #signupforgameday. Tony Merevick is Cities News Editor at Thrillist and is a firm believer that everything tastes better when it's free. Send news tips to news@thrillist.com and follow him on Twitter @tonymerevick.